September might be a great time not just weather-wise but also to catch a glimpse of local life and celebrate festivals in India. The color, energy and vitality of festive celebrations will make memories that last forever! This is a four-day festival celebrated across the Ladakh region of the northern state of Jammu and Kashmir and organized by its Ministry of Tourism. Processions and parades showcasing local costumes are taken out through the streets and in Leh, the major city of the region, the local polo grounds host cultural performances and dances. It’s a great time to visit Ladakh! This is the annual celebration of the birthday of Lord Ganesha, the elephant god, and given what a popular favorite he is, the celebrations are long and enthusiastic! While you can experience the festival best in any of the southern states of India, we recommend visiting Mumbai, capital of Maharashtra. Every year thousands of “Ganapati” or Lord Ganesha idols are immersed in the sea waters here amidst lusty singing and much dancing and socializing. 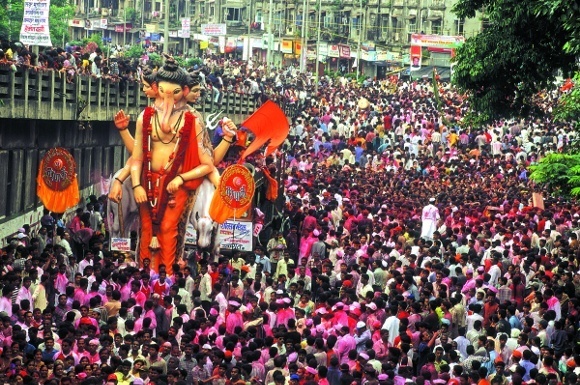 The idol of Ganapati is first installed in homes and worshipped through song, prayer and food offerings for ten days before the final day of “Ganapati Visarjan” when the clay idol is immersed to dissolve and assume formlessness; as the idol is crafted and then dissolves, it shows us that the Supreme Being stays constant. Visit Mumbai during Ganapati Visarjan and take in India’s diversity on one of our completely customized tours like this one. If you stay at one of our preferred hotels, you might be able to look down on the throbbing excitement of the idol immersion from the sanctity of a beautiful hotel room at the Marine Plaza or The Trident. 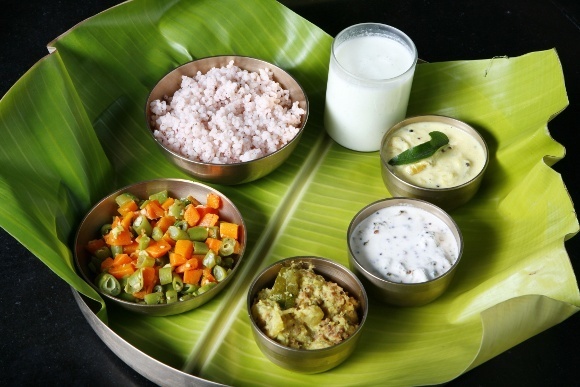 Onam is a festival traditionally celebrated in the southern state of Kerala every year. There are many aspects to the annual Onam celebrations, but primarily the festival welcomes the slain demon king Mahabali. Legend has it that Mahabali ruled over Kerala as a just and beneficent king, thus angering the Gods who felt threatened by his success and popularity. They exploited his one Achilles heel – his ego – and managed to banish him from his own kingdom. However, they could not dampen Mahabali’s love for his people. In recognition of that devotion, the banished demon king is allowed to visit his beloved kingdom once a year – an occasion marked by the celebration of Onam. The local Government of Kerala has a proactive tourism department that celebrates this harvest festival with great spirit and gusto. Expect to witness magnificent boat races, including the Vallamkali, a long boat rowed by hundreds of oarsmen, and to eat the traditional feast – Onasadiya- a nine-course (yes, you read correctly) meal with about 13 essential dishes, served on a banana leaf and typically eaten seated cross-legged on the floor. There are other accompanying celebrations as well – staged games for men called Onakalikal where they wrestle or play competitive ball games and women perform dances and draw elaborate motifs in front of their houses to welcome King Mahabali. This race is typically held in the middle of the ten-day Onam festivities. It’s a re-creation of ancient boat races during which rival kings of Alleppey fought their battles along narrow neighborhood canals. Realizing the need for a swift and maneuverable boat, one king had the snake boat designed and a snake boat race has become one of the highlights of the Onam festival. The celebrations across Kerala are geared to indicate to the spirit of the King that his people are prosperous and eager to welcome him back.